013-dc-corporate-photography-magazine-photographer-SFH 2008 Annual Report-p2-3-irene-abdou-photography.jpg | Irene Abdou Photography, LLC - Travel. Lifestyle. Documentary. NGOs, Development & Public Health. 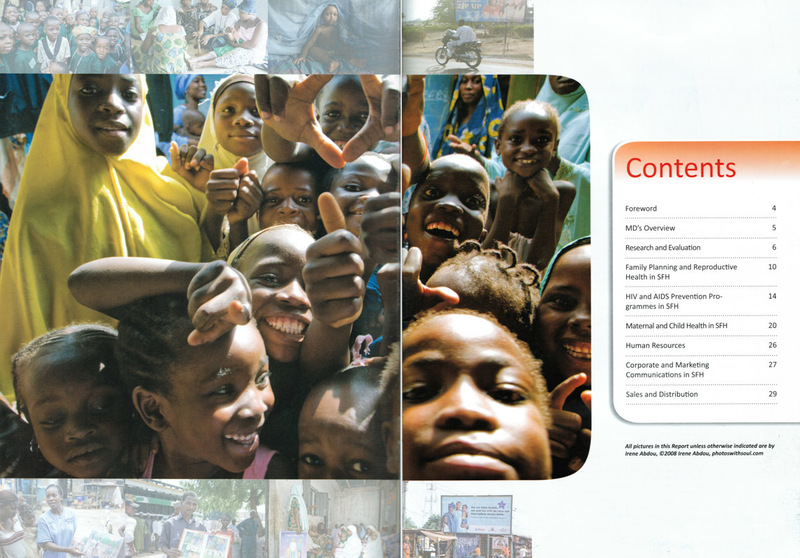 First pages of the 2008 Annual Report of Nigeria's largest indigenous social marketing organization, the Society for Family Health. The report features 39 photos by Irene Abdou, or 74% of all photos in the report.